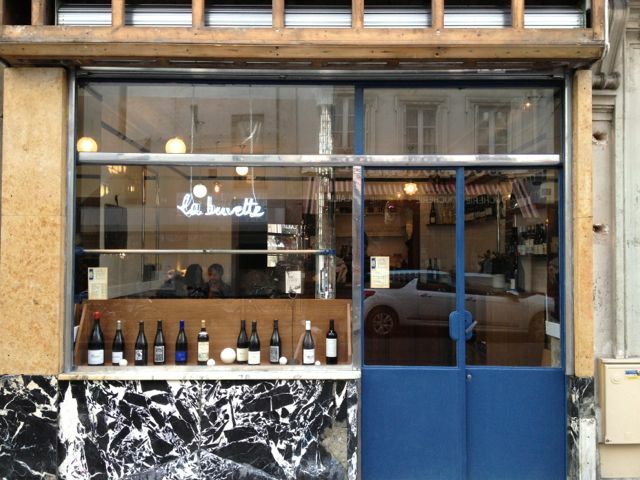 In a break from my habit of writing about things long after they've lost all relevance, I thought I'd mention my friend Camille Fourmont's brand new caviste-slash-bar à vin, La Buvette, which opened for business on rue Saint Maur in the 11ème a little over a week ago. 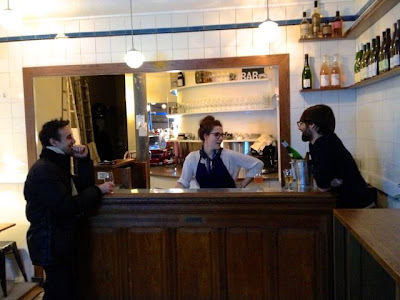 I hadn't seen Camille in a while, and hadn't been aware she'd left her former gig, as bar manager of Inaki Aizpitarte's overdesigned wine bar Le Dauphin. I just happened to be walking by on an errand the other day, when a Julien Courtois wine label in her sparse window display caught my attention. 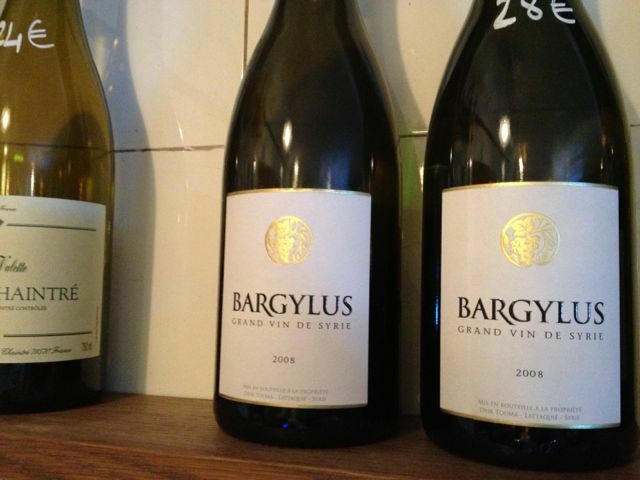 It's a surprise to see such a cult wine on that stretch of road, which is otherwise dominated by superettes and timewarpy little do-nothing bistrots that seem to survive, like lichen, on air alone. It's also a surprise to peer in the windows and see - good lord ! 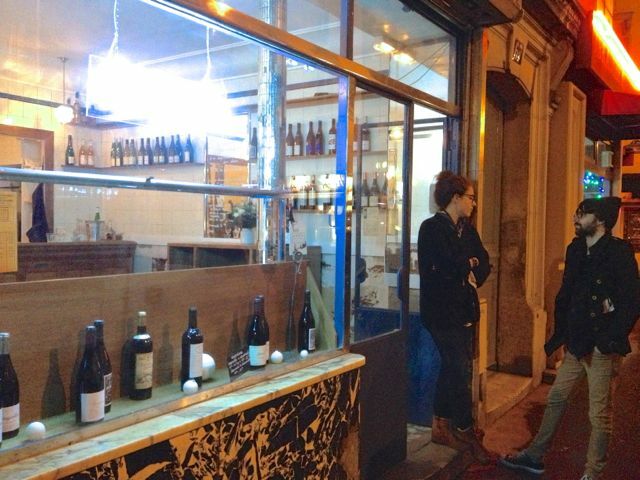 - a trim, contemporary establishment, where good taste is as perceptible in the décor as it is in the mostly-natural wine selection. There's clean white tiling, and simple tables and chairs, and, mostly importantly for my purposes, a solid and inviting zinc-capped bar. One would be right to point out that the caviste-per-capita ratio in the 11ème is seemingly approaching one-to-one. 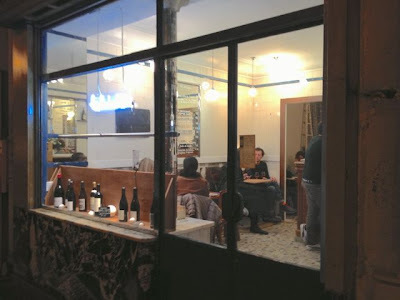 In Fourmont's immediate vicinity, there's no shortage of competition: Le Verre Volé, Le Vin de Bohème, Paris Terroirs, the recently opened Cave Fervèré, and the recently relocated and expanded Au Nouveau Nez (on which more to come in a later post). What La Buvette offers that none of the others really do* is a bar - a place where one can hang out and nibble and chat over a glass of actual potable wine. Only, you can't call it a bar, and neither can Fourmont, due to issues with her landlord, who insists on not having a bar in the building. 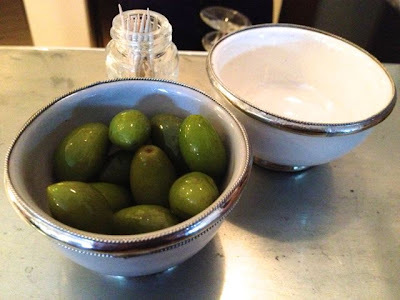 So La Buvette is a wine shop where one can open bottles and drink them at a bar with a delectable plate of Luques olives, among other snacks (charcuterie, terrines, sardines, etc.). 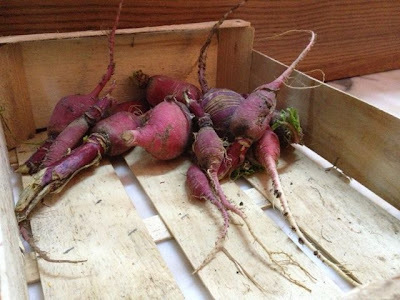 - and then some real oddities, to which she's personally attached and about which I'll remain skeptical until tasting someday. 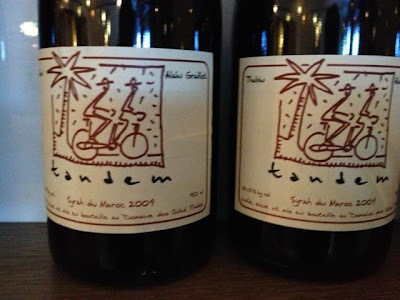 For examples of the latter, you have a conventionally produced white wine from Syria, where Fourmont spent some time, and Rhône producer Alain Graillot's Moroccan Syrah side project. 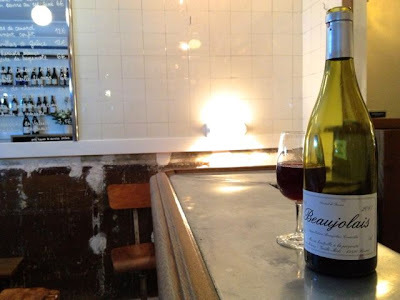 Anyway, after noting the bottle of Julien Courtois in the window, I returned the same evening with my friend J2, with whom I'd planned to have a few post-Christmas decompression drinks. Fourmont plans to change the glass pour selections at La Buvette daily, according to the whims and curiosity of her clientele; on the evening we visited, J2 and I polished off what was left of a bottle of 2011 Métras Beaujolais, among other wounded soldiers. Then in walked a gibbering grey-faced man from the street, who, if there were any uncertainty among bystanders about whether he were a creep, instantly confirmed all suspicions by explaining at length and without prompting that he was just checking the place out, just a normal human guy from the neighborhood checking the place out. Fourmont's no fool and she dealt with the creep with a patience I could only marvel at. He gibbered on and on and eventually purchased a six-euro artisanal beer and wandered off, still gibbering to himself. "That's why I don't want to be a bar," said Fourmont, and we all shook our heads. 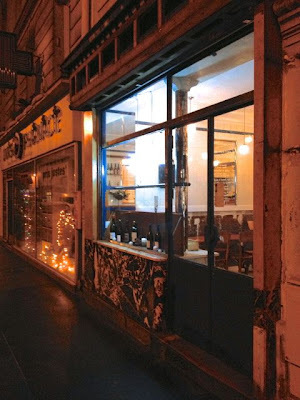 It frustrates me greatly that Fourmont and many female entrepreneurs like her are prevented from opening late in the evening because of the near-universal presence in most cities, after 10pm, of leering skinks and stumbling bear-pawed perverts. On a positive note, however, I'm certain La Buvette will feel measurably more secure when the place is routinely full of appreciative regulars, myself among them. It's a terrific addition to the neighborhood. * Well, Cave Fervèré has a bar. 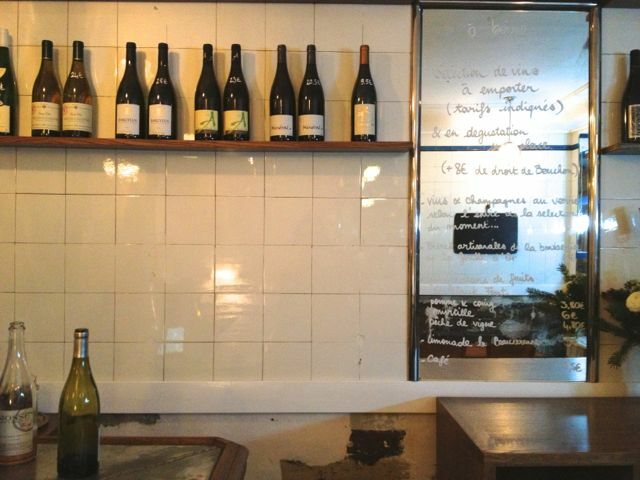 But it's usually in use as a service bar, rendering it considerably less inviting as a place to sit and hang. 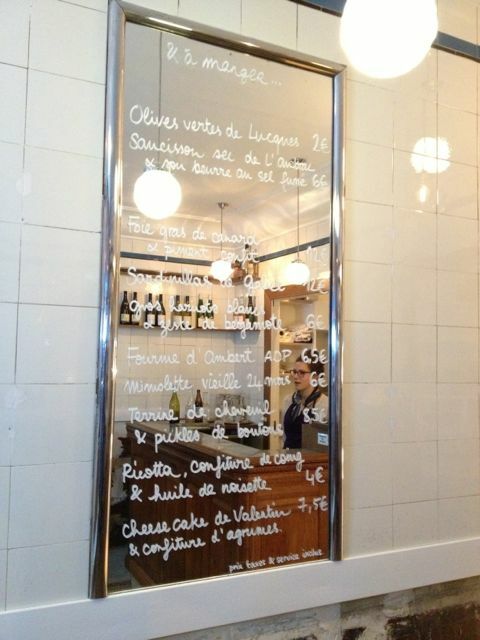 Woah--I'm sorry but GIRL HAS STOLEN basically every single wine & product reference from Le Dauphin!!! You don't steal when you buy. don't be ridiculous. 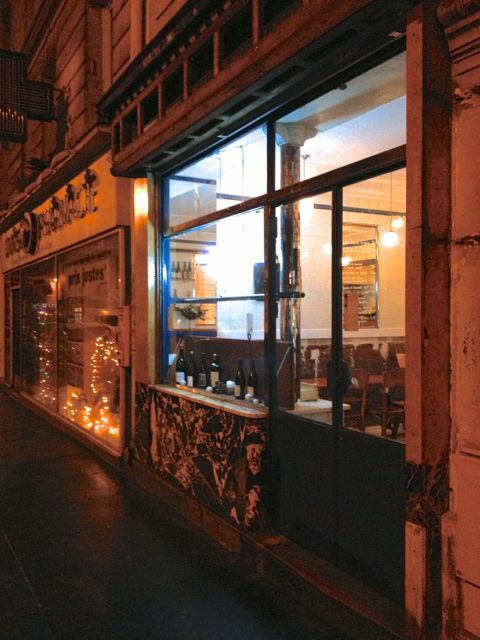 nothing about the wine or product at le dauphin was ever remotely innovative or exclusive. You are right Aaron - I just love this place !!! the wine, the food, Camille is a fantastic host !! !